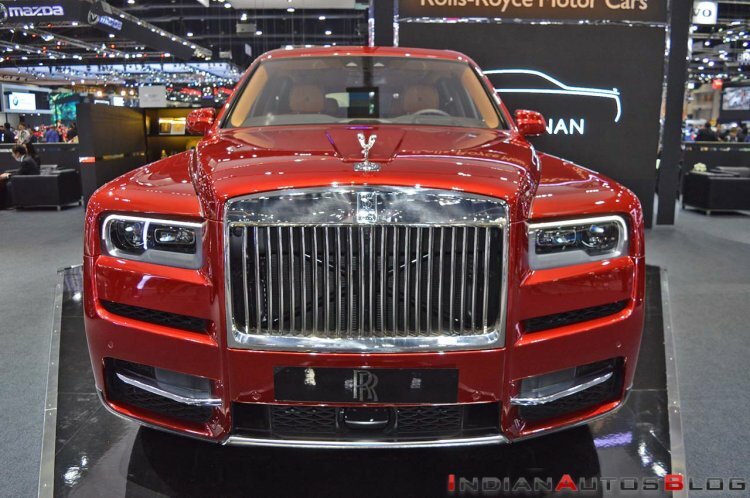 The Rolls-Royce Cullinan, which is on sale in India, made its Thai debut at the 2018 Thai Motor Expo last month. The first-ever SUV from the Goodwood-based carmaker shared floor space with the Wraith and the Ghost Black Badge. The only SUV in the company's portfolio is named after the Cullinan diamond, which is the largest-ever flawless diamond discovered. Cullinan has received positive acclaim from the world’s leading opinion formers. It is the Rolls-Royce of SUVs, offering supreme liberty and a level of refinement and comfort not seen in Thailand’s SUV segment before. Cullinan’s presence at Motor Expo will allow the public and prospective clients to have the opportunity to view this remarkable motor car. The Rolls-Royce Cullinan measures 5,341 mm in length, 2,164 mm in width, and 1,835 mm in height. It has a wheelbase of 3,295 mm. The front-end of the world's most exotic SUV mirrors that of the Phantom to a great extent, which is due to the facade's signature pantheon grille and 'eyebrow'-like daytime running lights. Yet another highlight is that it's the first-ever Rolls-Royce to feature an opening tailgate, which is being called as 'The Clasp.' It electrically opens/closes in two sections at the touch of a button on the key fob. The interior is entirely befitting of a Luxo-barge from the maker of the finest and most opulent vehicles in the world. At the rear of the cabin, one can opt for two individual seats separated by a fixed centre console carrying a drinks cabinet with Rolls-Royce whisky glasses and decanter, champagne flutes and a refrigerator. The rear seats offer several adjustments to make sure that the ultra-rich occupants stay in comfort. Yet another talking point of the interior is the set of two electrically-operated 'picnic chairs' that have been packaged inside the boot and can be put to use on opening the boot lid. The Rolls-Royce Cullinan is built on an all-new aluminium spaceframe architecture called ‘The Architecture of Luxury’. 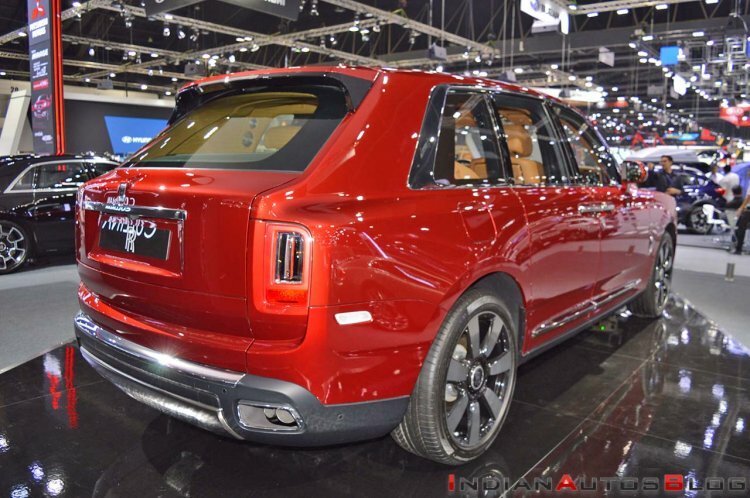 It shares the platform and its 6.75-litre V12 petrol engine with the Mk8 Rolls Royce Phantom. Powering the Rolls-Royce Cullinan is a 6.75-litre twin-turbo V12 petrol engine that puts out 563 bhp and 850 Nm. The motor comes mated to a satellite-guided 8-speed gearbox that pre-selects the ratios by the geographic location. The platform is shared with the Mk8 Phantom and is almost 30% more robust than that of the Mk7 Phantom’s spaceframe architecture.